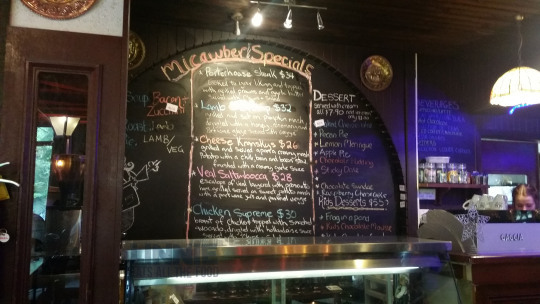 After spending the morning at tree top adventures, we decided to reward/refuel ourselves at a pub close by – Micawber Tavern. It’s a cute little pub and it’s a very casual scene once you enter. We had a booking and were popped down at our table. We kept waiting for someone to come by and hand menus to us, when we figured out that it was all self serve (it took us 20 good minutes..). There was a special boards which most of us eventually ordered from. 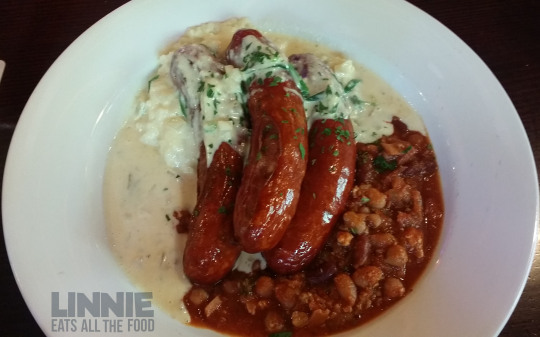 I got the cheese kransky which came with mash potato, beans and bacon stew, and garlic sauce.THIS. WAS. ABSOLUTELY. AMAZEBALL! I especially LOVED the mash potato with garlic sauce. The bean and bacon stew, nothing spectacular. 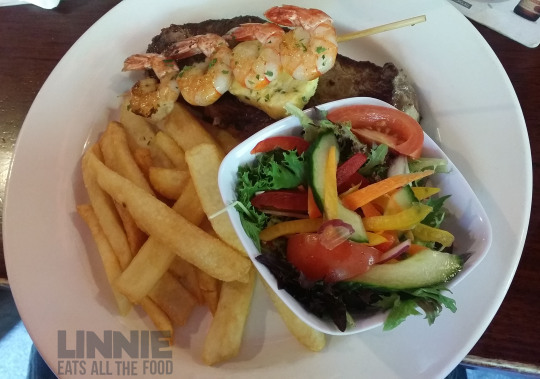 Mr Italian Stallion and Miss Curley Fries both got the porterhouse steak with grilled prawns, chippies and salad. They both found it quite average and the steak was a bit tough. 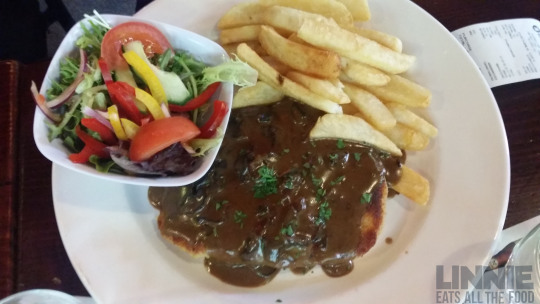 Finally, Mr Skivvy got the chicken schnitzel topped with mushroom sauce. He too thought it was average and I found it to be VERY soggy and again, nothing special. While waiting for our desserts, there was a live singer/guitarist playing and it was SUPER DUPER LOUD! We couldn’t hear each other talk AT ALL! He was pretty good, just didn’t need to feel like I was at a concert while having a nice lunch on a Sunday. Anywho, our dessert came out and we all were exciting (sharing because we CARE!). 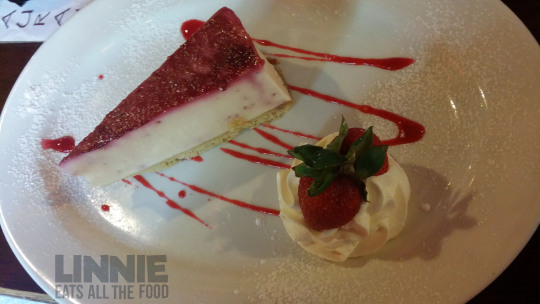 First up was Mr Italian Stallion’s raspberry cheesecake. This was not a cheesecake at all. It was very rubbery and poor Mr Italian Stallion had to finish it off by himself. My lemon meringue came out and for an extra $1, you get a dollop of ice cream too (refresh us ice cream!). 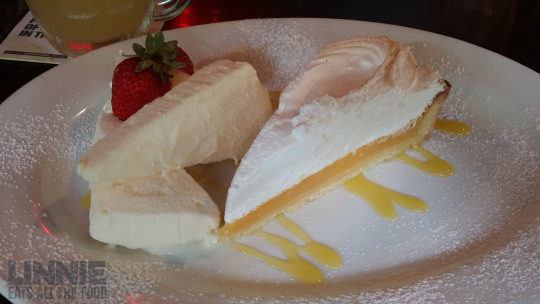 The lemon meringue wasn’t great either but tasted better than the cheesecake. The ice cream was probably the best part of the whole dish. Both desserts were such a disappointment. 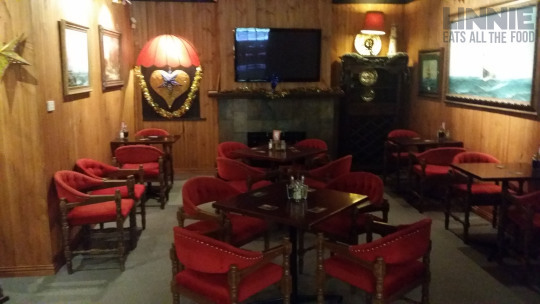 There are heaps of places to try out in the Belgrave area and perhaps this is one of the places you might want to give a miss.